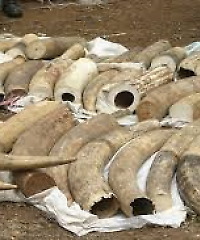 Report: China foremost country in blood ivory trade. Involved at every level. 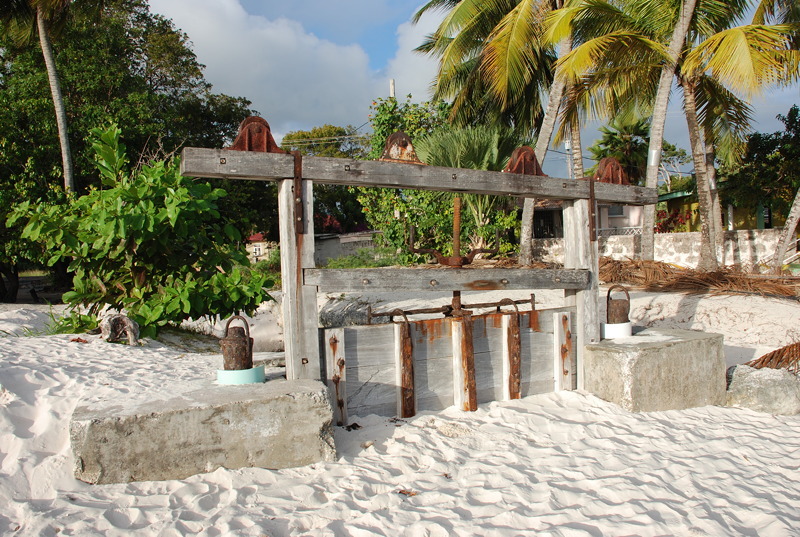 New IADB coastal environment loan: Will Barbados now repair the Graeme Hall sluice gate? Congratulations, folks… we got another loan! I’ve lost track of how many hundreds of millions of dollars our grandchildren owe to the IADB and other global bodies. Does anybody know? The amazing thing about these loans is that without many exceptions the money is always for “studies” and “initiatives” that never seem to have a tangible result or quantifiable success. Smart guys, these politicians (for they are 99% men) – they never set themselves up for failure by announcing projects where the results can be measured and compared against pre-established benchmarks for success. Even when they are supposed to establish a hard infrastructure component, the record is terrible. One example: We borrowed the money for a waste treatment plant then spent the money on something else. We now have no money and no waste treatment plant. Gotta love those politicians! Also missing from the Prime Minister’s analysis that Barbados is an environmental “champion” is his government’s abysmal record on the environment. We don’t even have an Environmental Protection Act. 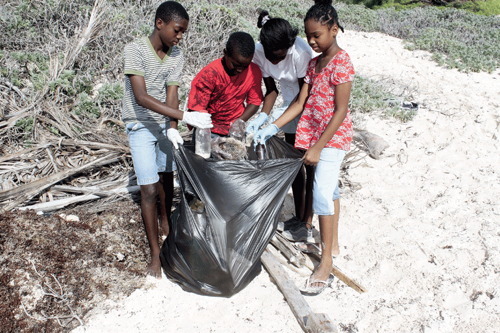 That’s right folks… Barbados has no environmental laws pertaining to the land, air or inland water. We have no environmental regulations about the storage, use or disposal of deadly chemicals. No environmental regulations requiring pipeline operators to monitor and report leakage. We’re still pulling up jetfuel from coastal wells around the Shell airport pipeline and there’s nothing the government will do about it because there is no law against it and zero enforcement. Not to forget the government itself dumping raw sewerage into the RAMSAR protected Graeme Hall wetlands! Unbelievable. Jada Construction Company representatives are quoted in today’s Nation stating that no chemical or waste was pumped into the sea from their Road View, St. Peter project. Jada Group director Philip Tempro calls a complaint by the troublemaking Mullins Bay blogger “ridiculous” and confirmed that he’s seen the stories and photos on the internet – presumably at Mullins Bay Blog and here at BFP. Have a look at the above photo of the discoloured “chemical smell” sea, taken by the Mullins Bay Blog “troublemaker”. Does that look like “several” gallons to you… or several hundred or several thousand? A pity that our blogging friend hadn’t thought to fill a couple of sample jars for testing. Why two? One for the Environment Ministry and one to be sent to an independent laboratory over and away to be compared with the government results. Everybody knows the reason why you have to do that! It’s the only way to keep things honest ’bout hey where the big money boys can make lab results change by magic. The Mullins Bay troublemaking blogger also says that the new seawall is being constructed too close to the sea. Companies regularly do that when they can get away with taking a little more of the coast. We’ve all seen it happen a dozen times. This time though, our blogging friend has asked for the authorities to come in, take measurements and also to test the water coming out of the pumps and in the general area of the discharge. Will CZMU, the Environment Ministry and T & C Planning really look at the construction site, and deliver a public and transparent examination? This being Barbados I wouldn’t hold my breath, but maybe we’re being too critical. Maybe the authorities will be on site today. I’m sure we’ll be hearing more on that from Mullins Bay Blog. Now look here, folks. You should go to The Nation to read Sea Fear. Please do it now. SAFETY WARNING: Mullins Bay fouled by dirty water, chemicals from JADA construction site. Our friends at Mullins Bay blog are sending out a safety alert after tying to take a sea dip on Tuesday afternoon, September 27, 2011. Where is the Coastal Zone Management Unit? Where is the Minister of the Environment? Where is Prime Minister Stuart after his fine fine coastal environment speech at the United Nations? Where is former Environment Minister Elizabeth Thompson whose BLP government couldn’t pass an Environmental Protection Act in 15 years of majority government? It was only after complaining to relatives visiting from the UK and USA who had gone about two hundred yards up the beach to Mullins that I learned of the source of the discharge – the JADA construction site opposite the Texaco Service Station in Road View, St. Peter. I was swimming in JADA’s swill.